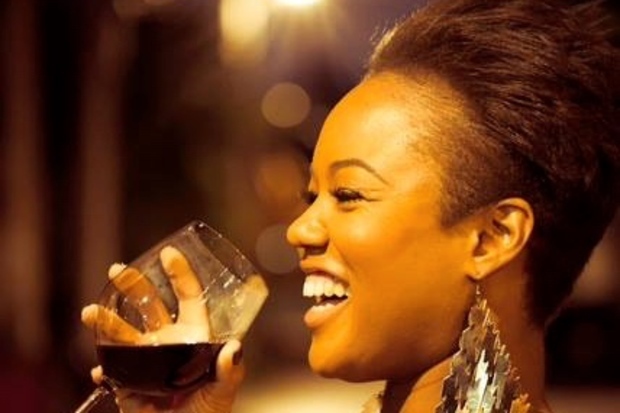 Chrishon Lampley, of North Kenwood, started her wine brand, Love Cork Screw, in December 2013. CHICAGO — Chrishon Lampley always envisioned her 40th birthday would be celebrated in the cliched family setting with a loving husband and their beautiful kids. Instead, her lavish 40th birthday party was at a West Town art gallery with glasses of her own brand of wine, Love Cork Screw, gracing the hands of more than 300 esteemed guests. "It's like they say, 'The universe laughs at your plans,' but I'm enjoying this journey," Lampley said. The party also inspired the latest expansion of her wine brand: "It was gorgeous that night, 74 degrees in September, and the party was outside in their courtyard. It was unreal and, literally, everyone had a cigar in their hand," said Lampley, who had decided a cigar bar would make her party unique. "I knew a lot of serious cigar aficionados were going to be there, so why not give them a treat?" she said. "The cigar company approached me after and said they sold over 300 cigars and wanted me to start my own cigar brand. That's when I said, 'I think I got it.' It was just a no-brainer and an easy transition." Lampley Cigars, which she named after her father, is just the newest venture from Love Cork Screw since its launch barely 1½ years ago. When Lampley founded the company in December 2013, the brand grabbed attention around Chicago, landing in local grocers like Mariano's, which had recently signed a deal to take over several shuttered Dominick's in the city. The deal, which put the brand in 29 Mariano's stores, solidified the brand and fueled its "ridiculously rapid growth." The company continued to pique the interest of vendors in both Michigan and Illinois, with the wine ending up on shelves of at least 22 locations across the city. But before the launch, Lampley was trying to put her life back together after losing Three Pea's Art Lounge, formerly at 75 E. 16th St. in the South Loop, which she co-owned. For the full story of how the respected wine connoisseur bounced back to launch her own wine brand click here. After her birthday party at Aplomb gallery, at 2246 W. Grand Ave., Lampley Cigars introduced two cigars: a milder Connecticut and a strong-tasting Havana. The launch allowed her to take on a venture she'd been interested in for years and to appeal to a growing market. "There's been a boom in cigar bars. They're popping up everywhere, and I've always been curious about cigars. I like them, I enjoy them and I've always had an interest in them," she said. While the cigars are for everyone, she hoped they would bring more male fans to the brand, which also recently released wine-scented candles. Lampley hopes to keep the cigars exclusive by offering them only at private events. She plans to eventually land them in stores, like Love Cork Screw, which is sold in "50 stores and booming" after inking another big deal, this time with Whole Foods. Whole Foods "picking up my brand is a huge first step. Now each location needs to choose which [wine] they want. That was really big for me because Whole Foods is worldwide — they even have it in the U.K.," said Lampley, adding the wine won't be served at the new Englewood location because it's in an alcohol-free zone. She hopes to have it in the South Shore location. "I'm just very excited to be a part of this. Whole Foods is big on giving back to the community and supporting local businesses. 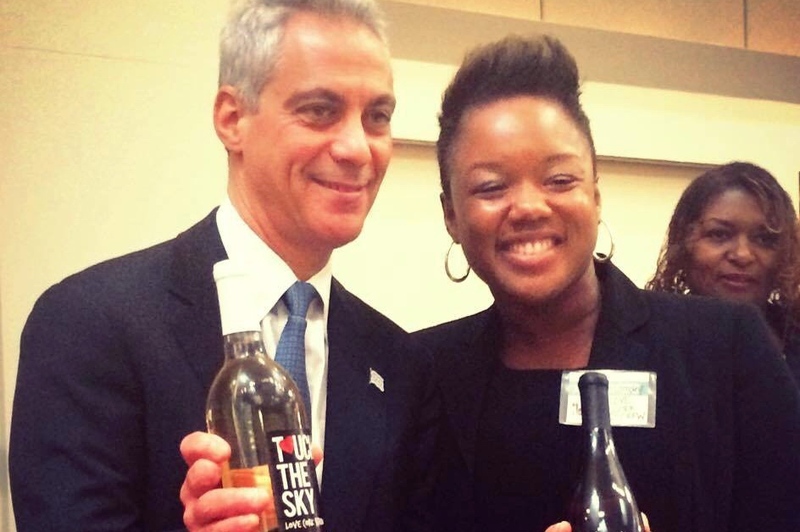 It's amazing because now I'm definitely able to get the wine out to the masses," she said. Those looking to sample the brand can head to Red Pearl Chicago, 1933 S. Archer Ave., from 3-7 p.m. Saturday for "Indulge: Your Senses." The event will bring together Love Cork Screw, Loni Loo's Chocolates and Naturals by Gina B for a spa day featuring music, wine and chocolate samples, raffles, small bites by Chef Siovhan Tucker, free mini manis and chair massages along with other services at a discount.